What about a convo about the changing demographics, the impact it had on the election results and, more importantly, the implications for future elections and governing? With the passage of marriage equality in Maine and Maryland and the legalization of marijuana in Washington and Colorado, we are witnessing major shifts in policy issues driven by our increasingly diverse society. What does this mean for future office holders? Wonder if the traditional two party system will go the way of the dinosaur as affiliations become fluid? Thank you for your blogs. They have been informative and insightful. Your prediction yesterday was right on. As a leader, President Obama has shared a very compelling vision of the future with the American public—a future of inclusion, diversity, and collaboration. He has communicated the vision clearly and has gained the confidence and support of a cross section of people. Now, through further negotiations and collaboration, the President can engage Congress more to adress some of the work that is ahead. Look forward to following your blogs. Cognitive relevance is appropriate! It will be interesting to see in the next few months what the “moving forward” notion will be. With unemployment capping off with the best results we have seen in years- it appears that even our housing market is inclining. I can’t wait to hear how the new budget will be diversified in this new term. Here is to energy, employment, economy, and of course healthcare! It remains to be seen if the Republican party will regroup. Regardless, people don’t need to be led by parties. The country can no longer support the divisions created by rigid party structures and archaic platforms anyway. Our nation is simply too diverse to conform to any party’s platform. And thank goodness for that tumultuous diversity! Only in the USA! 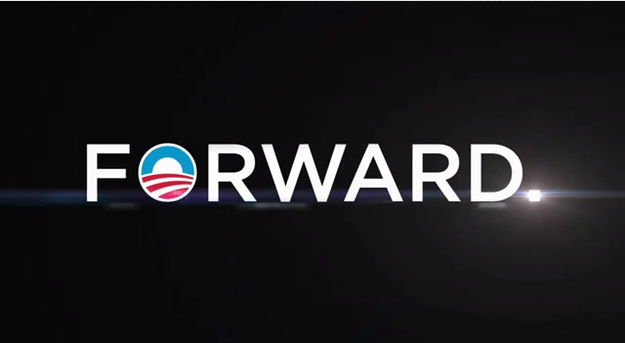 President Obama has four more years to complete what he started. We the people had a role in re-electing him and we also have a role in making sure the work goes on and play a part in getting it done successfully! And yes, we have to “rise above partisan politics and political bickering.” This gets us no where and those suffering and not progressing continue to be harmed by this deadlock. Let’s ALL pull together to ensure that all of our goals are achieved in his second term. Thank you Damani. I appreciate your brotherly support! Very Good my Brother, the people have spoken and God is Good. Thanks for your Blog’s they have been very much appreciated and very informative to me. Keep the words of Ted Kennedy alive. We need to make it apart of our daily lives. Life truly is a special occassion and thank you for reading. You are so correct in that America sought to protect the change. That is the theme of this masterfully run campaign and also the theme that should, with the help of both parties, catapult America out of a daunting economic era into a prosperous one. Thank you for your comment….The interesting thing about the campaign is with the inclusion of social media, and a strong ground game campaigns will be run differently in the future. Thats a game change.